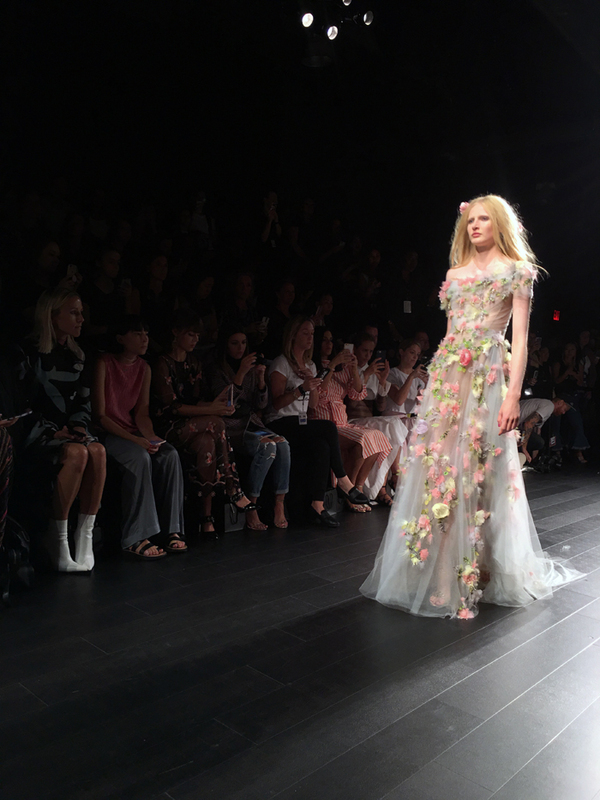 It’s every little girl’s dream to watch floral princess dresses flow down the runway and this season the little girl in me was as giddy as ever (yet trying to hide it seated by Nina Garcia). 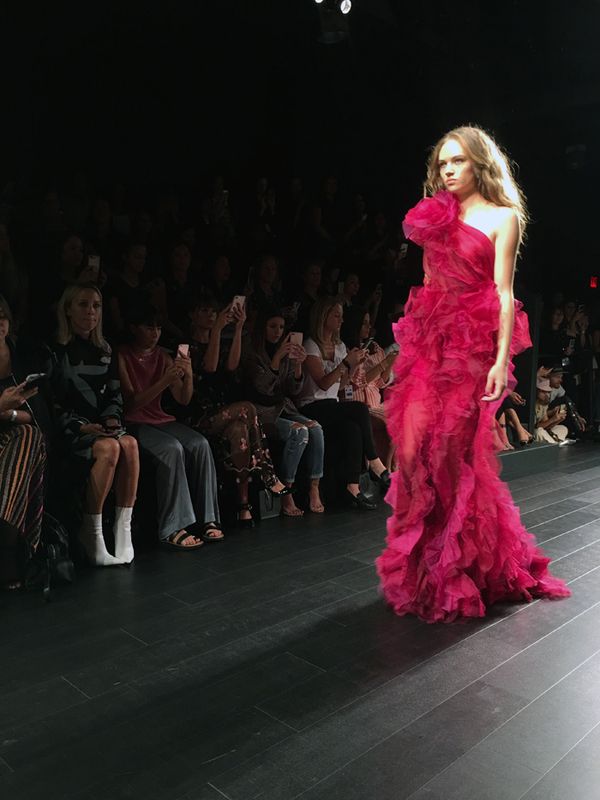 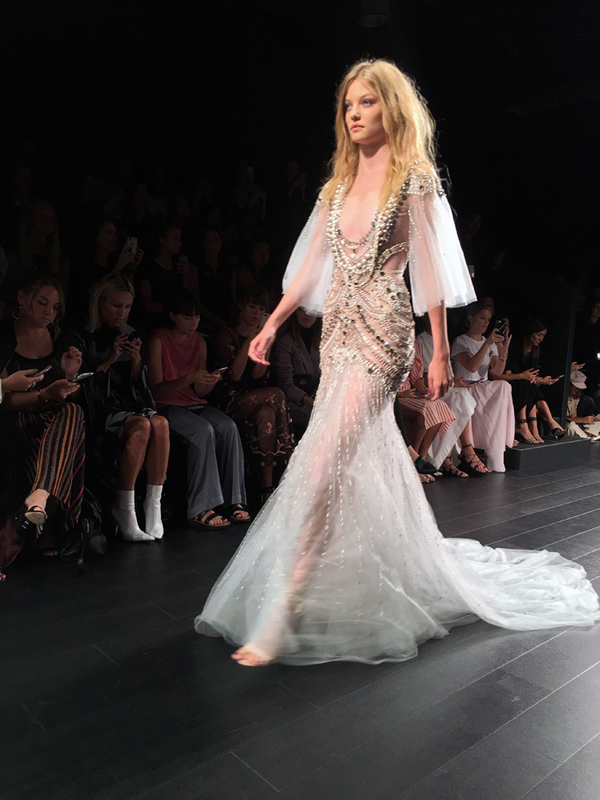 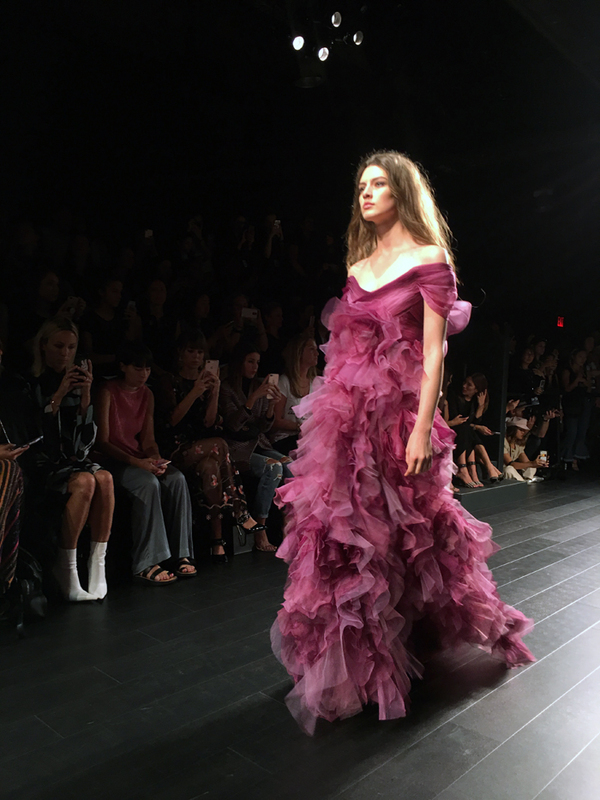 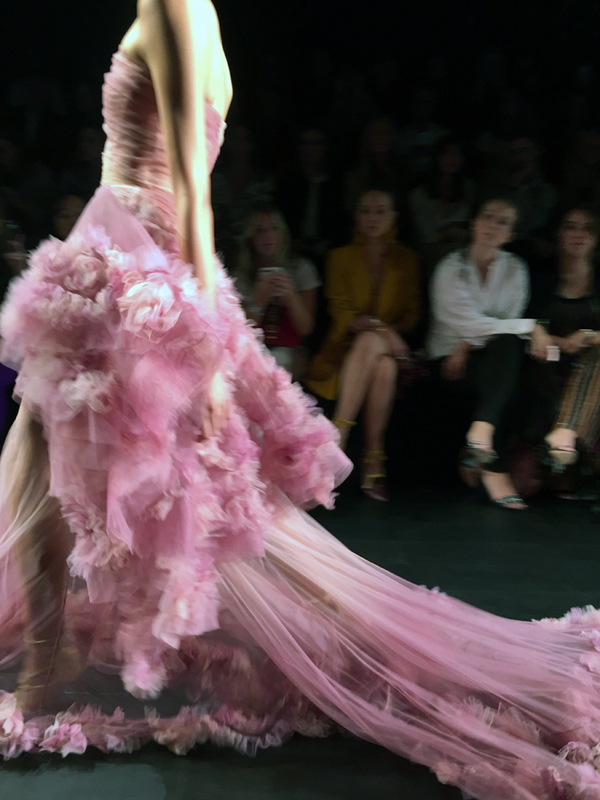 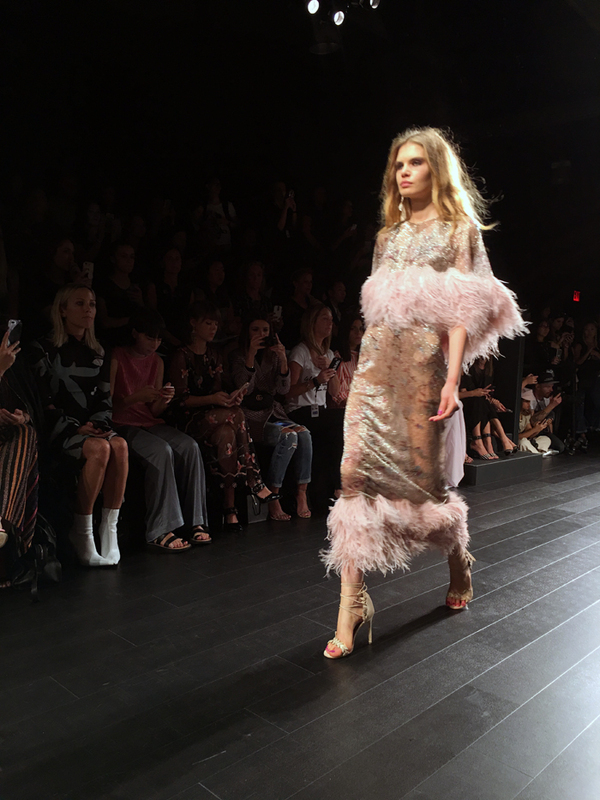 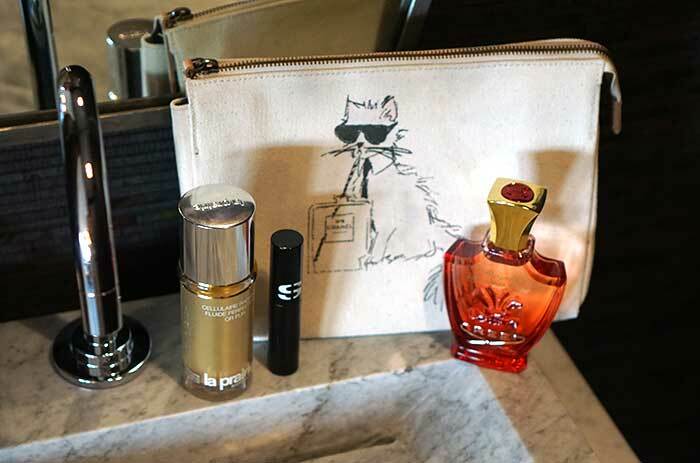 Marchesa continued its legacy of being girly and glamorous with its Spring 2018 collection inspired by Japan and Edwardian adventurer Aimee Crocker. 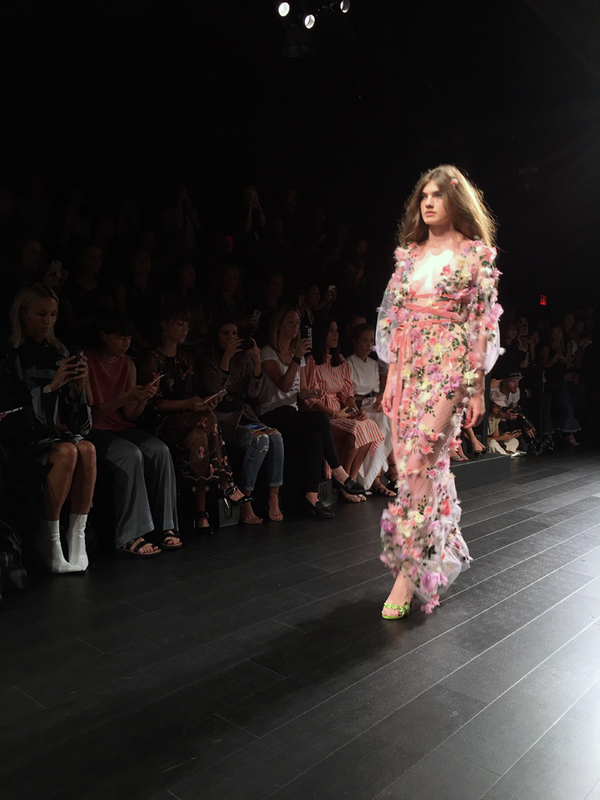 Co-founders Georgina Chapman and Keren Craig, brought Japanese gardens to life saying, “she [Aimee Crocker] was just very fearless and obsessed with the East. 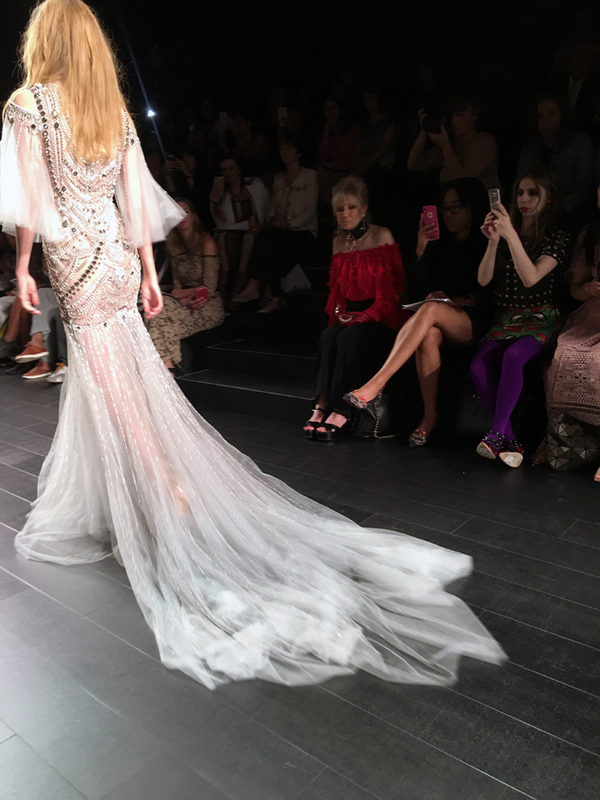 She did a lot of traveling there, and we particularly focused on her travels in Japan and you’ll see little nods of that in the collection.” Since Crocker was known for her pearls, these beaded details were intricately sewn on dresses throughout the collection, which also featured kimono-style sleeves and Japanese floral designs. 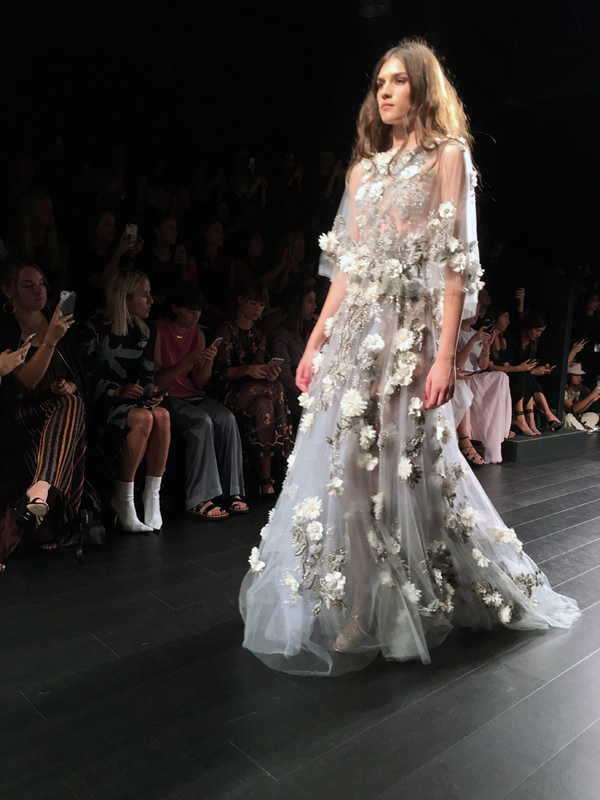 As the fairytale extends season-to-season, Marchesa continues to empower women to feel beautiful, tapping into the inner princess in all of us.